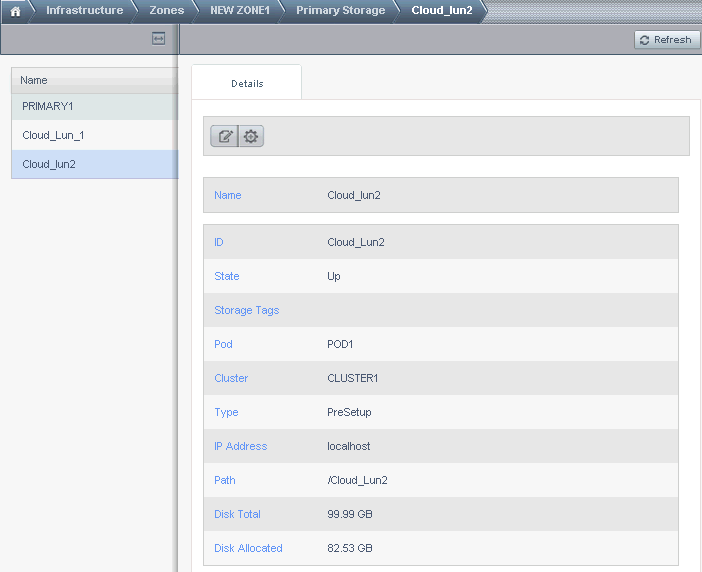 This tech blog helps you to configure primary storage in Cloudstack and Xen Cloud Platforms (XCP). I had a Dell Power Edge server which was connected to IBM 3500 Storage Box via a Cisco Fabric Switch 9124. I guess almost every organization has this kind of small Storage Area Network with servers and storage boxes connected. Okay, let us move on to the configuration settings. Server's HBA port is connected to a Fabric switch via fibre channel. A Storage box also connected to the same switch. Make sure that your logical volume created in Storage box is visible to our server. I believe that you have a little idea on Storage and Cloud architectures. 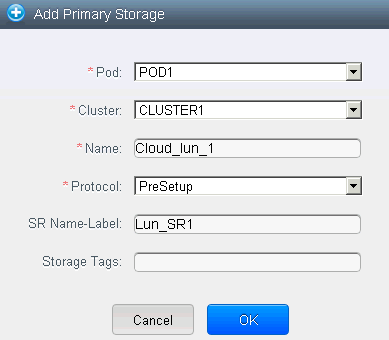 SR Name-Label should be same as we created.